We think - cautiously - that WPF is a better platform for client tool development than Windows Forms. This blog gives 10 reasons why. A while back I blogged tentatively on which of Windows Presentation Foundation (WPF) or Windows Forms (WinForms) would turn out to be the future. The two main types of application you can create in Visual Studio (unless you're developing a website, in which case ASP.NET is a better bet). With a few more months of experience of WPF under my belt, I'm going to stick my neck out with this follow-up blog and give 10 reasons why I'd rather use WPF. I've left the old blog up, however, because I'm still not convinced developers will be more productive with WPF. They'll certainly produce more exciting and enjoyable software, but minimalists may still create systems more quickly in Windows Forms. Before I begin, though, a quick summary of what each approach involves. 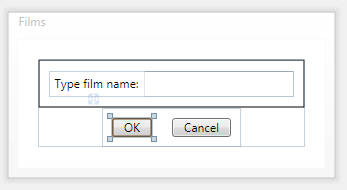 A form for entering a film into a database, with the OK button selected. Me.Label1.Text = "Type film name:"
A small subset of the properties of a button. Windows Forms is similar to its ancestor, VB6, and will look familiar to anyone who has created forms in Access or VBA. 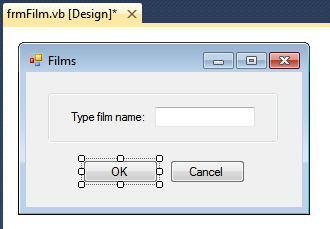 You can design WPF forms on screen, but it doesn't always work well and isn't always easy to use. 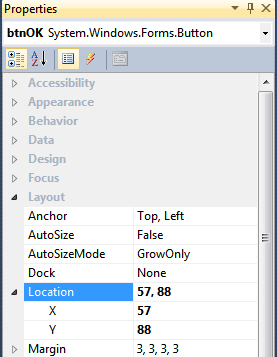 The XAML for the window shown above. Thus although WPF windows and WinForms forms look similar, what happens behind the scenes is completely different. Following that brief introduction, let's start looking at 10 reasons why WPF is a better bet for developing systems.